While 10 schools in Sabah celebrate their achievement of 100% passes in the Sijil Tinggi Persekolahan Malaysia (STPM) this year, SM St Michael has a bonus reason to celebrate. Greenery welcomes you as you approach St. Michael secondary school. 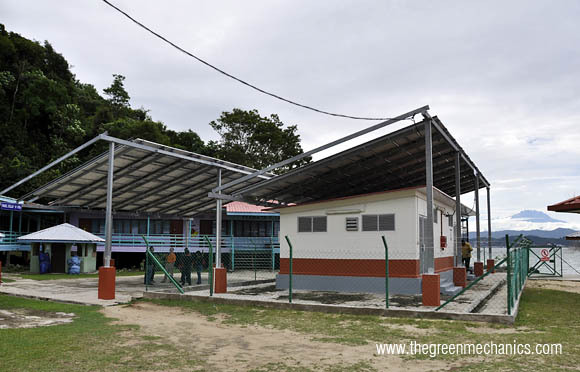 The school became the first in Sabah to have the solar photovoltaic (PV) system installed on its roof to reduce the school's electricity consumption. More importantly, this will pave the way for Malaysians to learn and appreciate the technology at early stage. The installation of the 5.4kWp rooftop solar here was completed in January 2013, thanks to a worldwide project named dena Solar Roofs Programme, coordinated by the Deutsche Energie-Agentur GmbH, and co-financed by the German Federal Ministry of Economics and Technology. A display panel has been installed in the centre of the school to display the actual power in kW and the accumulated generated energy (in kWh) and CO2 savings over the entire period. "The main goal is to support the cooperation between German and Malaysian experts in the field of photovoltaic and also sharing of knowledge about the systems under the specific conditions in Malaysia." - Gabriele Eichner of the German Energy Agency. 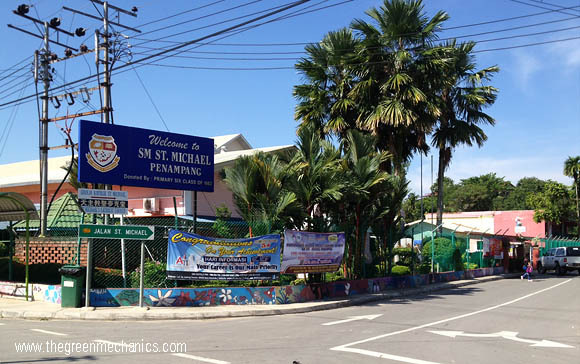 Another school with solar PV installation is SK Pulau Sepanggar, located half an hour boat-ride from Kota Kinabalu. This is a full capacity installation which means the school gets all its power requirement from this installation alone. The school is not connected to the power grid due to its location. It is a self initiative by the government to improve the quality of life of the local community as well as to provide a better learning environment for the school children. While fully agreeing to the school selection, I am hoping that the "dena Solar Roofs Programme" will also look into the many underprivileged rural schools in the interior. They acknowledged that the programme is most suited for places such as those in the remote areas in East Malaysia. Degression rate for solar PV system in the RIT scheme is 8% to 10% which means actual drop in installation cost could be higher. Estimated 10% to 14%. Today's RM8,000 per kWp could be RM7,000 next year. 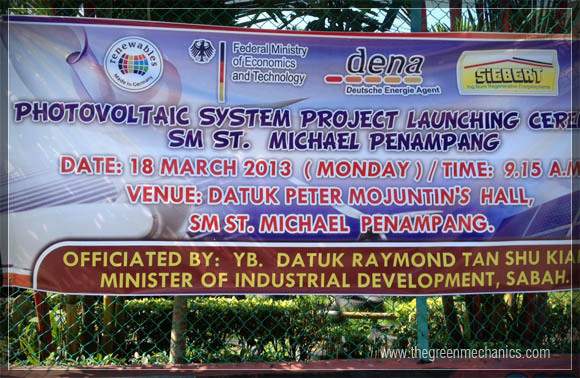 In 2005 it was RM20,000 to 25,000 per kWp. In a couple of years' time, a 4kWp rooftop system will be much more affordable.